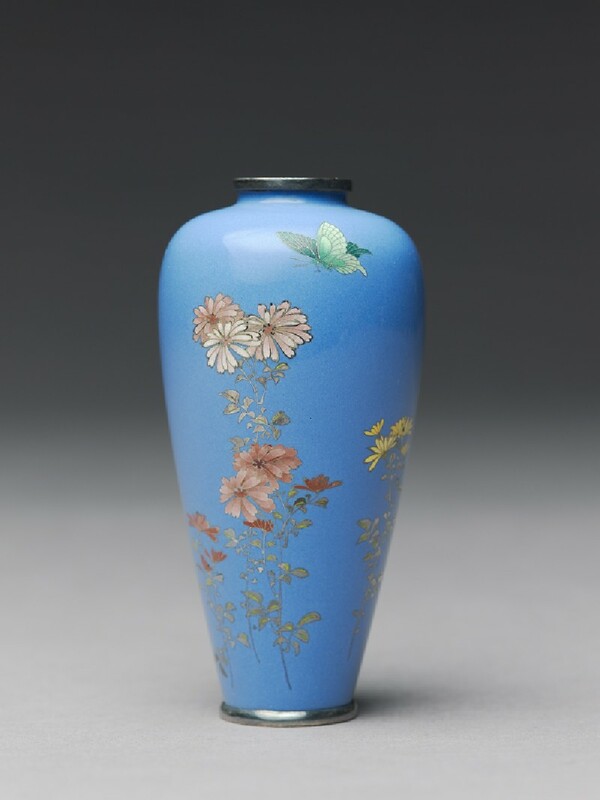 Small vase of meiping shape with chrysanthemums and a butterfly in cut silver and enamel on a pale blue ground. Signed: Kyōto Namikawa stamped in the silver base. 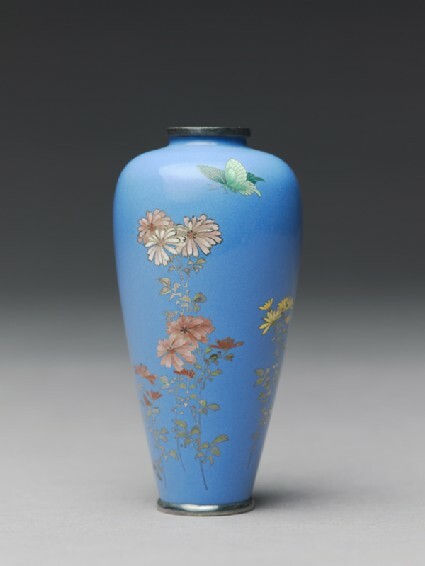 In 1903, Yasuyuki's sole entry in the Fifth National Domestic Exposition was a small brush-pot; what confidence! Of this, the judges commented "the few delicate bamboos look as if they were brush-strokes on a dark purple ground, and each leaf is carved as if it were a brushstroke". In other words, as can be seen here, Yasuyuki has shaped the 'wire' in almost a reversal of the cloisonné technique, so that the wire becomes a major part of the picture instead of merely outlining the picture. This is the logical next step after the shaping of the wire seen in [EA1988.1].